In this day and age, a screwdriver can only get you so far. The advancement in motor power and battery life has made way to some amazing cordless hand drills which cut work by 300%. Not only does this apply in fields like carpentry, but practically in every possible scenario. If you are any type of mechanic or DIY’er, than you’ll appreciate a good cordless drill. However, there’s a dilemma which faces us all when looking for the BEST cordless drill to get. There’s just so many out there on the market, from super expensive ones to cheap 30 dollar ones what will last you for no more than 6 months (if you’re lucky). Our main goal here is to make the decision on which type of handheld power drill you should buy. In specific, we will cover 12 volt drills which are lighter, cheaper, and a bit easier to use in tighter spaces. In addition to the above benefits of using 12 volt cordless drills, we found that the 12 volt models offer great performance and value, especially since the recent advancement in lithium-ion battery technology has drastically improved the general experience with these drills. FYI: If you’ve ever seen a drill that said 12 volts MAX, it’s for good reason. The true rating of each lithium-ion pack is 10.8 volts. Right below we put together a comprehensive list of the 10 best cordless drills you should buy, especially if you’re a mechanic. Coming in as our number 10 for handheld power drills to buy, is SKIL 2240-01 12V Drill/Driver Set. By far one of the cheapest costing about 45 dollars, for that price considered to be a good bargain buy. First impressions will be the overall plastic external shell which is to be expected, but because of that it’s lightweight (about 6 lbs). Not a powerhouse drill to tackle heavy-duty situations, but general jobs will prove to be ideal fit for this model. With the 15 different driver power settings, you can adjust how much force your drill needs to put forward. Along with the variable speed trigger, you can control at what speed the drill will be spinning (precision when it’s needed). Lastly, we’ll cover the chuck which is adjustable to change out various bits. One battery pack is included with this handheld drill, along with a charger. There’s only one-speed setting which for the price, is to be expected. Other than that, this drill suits the do-it-yourself type of guy/gal quite well. From individual user reviews and our overall ratings, this drill receives a 4 of 5 stars. 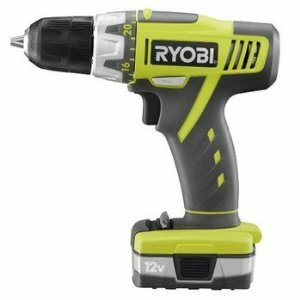 Ryobi is one of the most popular bargain brands you’ll see in your local hardware store. Compare it to a big name brand like Bosch or DeWalt, and you’ll see the price difference. Thankfully, they are a popular choice by many project operators for two solid reasons; cost effectiveness, and durability. The Ryobi ZRHJP002K is a 12-Volt Lithium-Ion Drill Kit that is priced at around 80 dollars. This drill in specific weights well under 6 lbs, recharges in UNDER 15 minutes, and comes with solid 12 volt battery + charger (an led indicator tells you how much juice you have left). There’s no speed settings for this handheld drill, but there is adjustable driver power settings along with a forward and reverse button. Overall, it feels more solid in your hand than the SKIL drill above, but for that, you’re paying a bit more. From dozens of individual user reviews, this bargain brand hand drill receives a 4.5 from 5 stars. For woodworking, light to medium mechanical work or just around the house, Black & Decker SS12C 12Volt Handheld Drill is in your alley. Cheap drill for sure, costing around 35 dollars for the complete kit. Upon delivery, you’re going to notice it weighs not much at all (under 5 lbs) and its external plastic shell. For the price, that plastic shell is okay as long as you don’t drop it too hard. Unlike with similar drills, you can adjust this drills speed from high to low, along with an array of extra settings for driver power. The standard battery is a drawback in terms of life, but purchasing additional battery packs can often solve that problem. If driving power is what you’re looking for, this Black & Decker drill offers 130-inch pounds of torque (also check out our guide for the best torque wrenches). 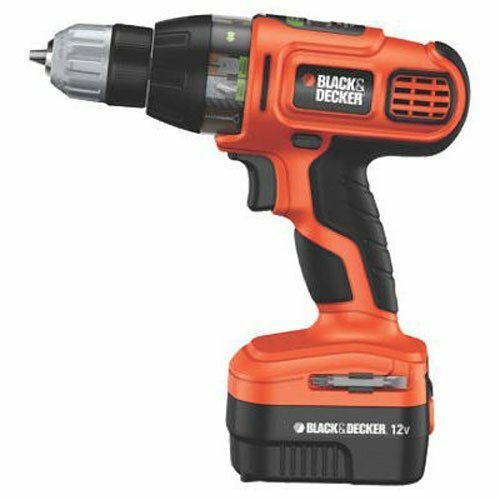 For a bargain that works, Black & Deckers SS12C 12-Volt Drill is something to look at. From over 200 individual user reviews, it receives a fair 4.3 from 5 stars. 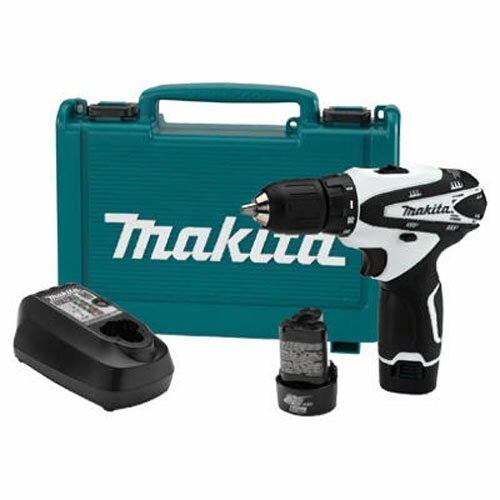 As our number 7 12v cordless drill, we picked the Makita FD02W Lithium-Ion Drill/Driver Kit. This is where premium branding is being stepped up, Makita is no Ryobi for you. Costing around 100 dollars for the complete kit, you get the drill itself, battery charger, and a 12volt MAX lithium-ion battery. The overall life of this battery is quite long when you compare it to an ordinary battery. The pride and joy of this drill is it motor, which puts out 200-inch lbs of torque (that’s serious torque). You can adjust from two-speed settings which range from 0-350 RPM and 0-1,350 RPM. The compact design is only 7.5″ inches long, and weighing in at about 2.2 lbs (with battery). To wrap it all up, there’s an LED light right above the trigger which gives you enough light to work in dark areas. Definitely worth getting if you want a compact and power drill. From over 90 individual user reviews, this Makita cordless drill receives a 4.6 of 5.0 stars. A better model by Black & Decker is our number 6 contender. The LDX113C-2 12-Volt MAX power drill is will surely please quite a few folks with its features and cost. 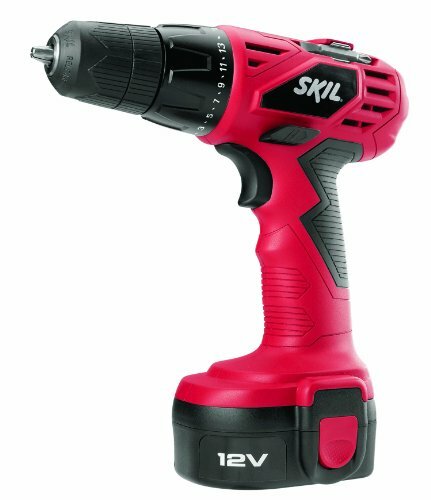 For starters, this drill comes with two 12-volt MAX lithium ion batteries which can hold charge up to 18 months. With the adjustable driver dial, you can choose how much pressure this drill can really apply at any given moment. Unlike with other cordless drills which have a battery mounted straight down, this model has a battery which is placed at a left angle (no pressure to be dropped using this given angle). **With 12 volts MAX, the true capacity of any given lithium-ion “12volt” batter is 10.8 volts. Weighing in at just under 4 lbs, this drill measures out to be 7″ inches long from the front top head section to the back. For light to medium duty jobs, this Black & Decker handheld power drill is perfect for you. From over 600 individual user reviews, this model gets a solid 4.5 from 5 stars. As we get close to our top 3 cordless power drills, we’re stepping it up in build quality, and performance. 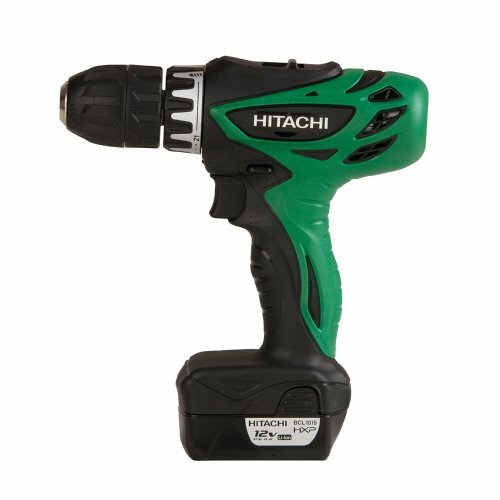 Hitachi DS10DFL 12-Volt Peak Li-Ioan Drill/Driver is for a seasoned professional at the very least. The 195-inche per lb of torque is serious power for driving down screws. Weighing in at just 2.2 lbs and measuring out at just under 8 inches long, it’s definitely compact for tight squeezes. The trigger has variable-speed controls, along with an LED light which is just right above the trigger (good for dark areas). Hitachi makes good lithium ion batteries, and the one for the DS10DFL is no exception. Output levels for the two included batteries are 1.5Ah (amp hours) and peak out at 12 MAX volts. Chargers quickly re-energizes the batteries. For light, medium and some heavy duty jobs, this Hitachi handheld drill is PERFECT. At about 130-140 dollars for the whole set (including 2 batteries), you’re getting a good name brand. No crucial negative points that we can think of that can be given to this drill. An average rating of 4.6 from 5 stars is rightfully deserved. 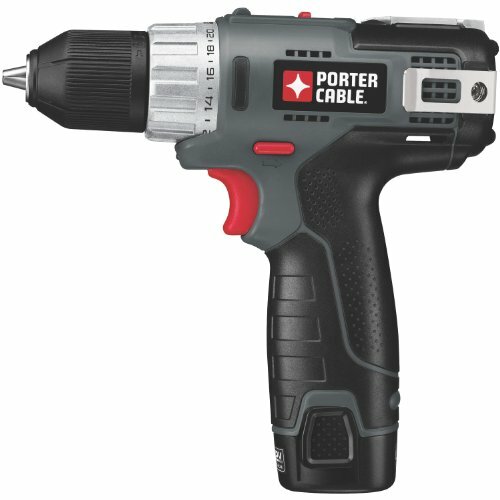 Coming in as our #4 best-rated handheld cordless drill, is the Porter-Cable PCL120DDC-2. Quite similar to Bosch and Makita, but noticeably cheaper when you compare costs. This lightweight (2.5 lbs with battery) electric drill is an excellent all-around work horse, especially for those who operate in a small business. The 2-speed gearbox allows you to switch from 0-315RPM and 0-1,200 RPM, all while consuming energy at a very reasonable rate and maintaining a fair bit of juice still. You get TWO lithium ion batteries which charge 100% in only 30 minutes, along with that you get a belt hook, double-ended screw driving bit, and a storage bag. On the drill itself the clutch can be adjusted to 20 different settings, allowing you to drill at various pressures. A good bang for the buck, while keeping quality in mind is exactly what this Porter-Cable model is. From over 180 individual user reviews, it received a 4.7 from 5 stars. 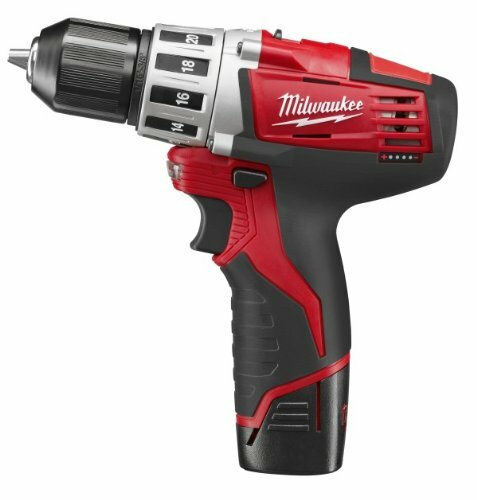 We’re now in the top 3 and our #3 contestant is Milwaukee’s 2407-22 M12 Drill/Driver. When it comes down to premium brands, Milwaukee is one without a doubt. This drill in particular comes with a motor which is capable of producing 275-inch lbs of torque, making it the most torque out of all the drills we went over. This drill has 2 selectable speeds which range from 0-400 RPM and 0-1,500 RPM. This cordless drill weights at only 2.7 lbs with the battery and all attachments on-board. Using the two included lithium-ion batteries, your drill will last you much longer than if you were to use a NiCad battery. Recharging should not take any more than 30 minutes for each battery to reach 100%. Right next to the forward and reverse button, there’s an LED indicator which informs you of your current battery level. The whole kit comes with the drill, two batteries, and a quick chargers. Costing about 120 dollars, it’s a respectable cost for such a durable drill. Mechanics, contractors, and home owners will find this drill to be a great investment for any future repairs. We give this drill a 4.8 from 5 stars. Taking our number 2 spot, is Bosch PS31-2A 12-Volt MAX Lithium-Ion Drill/Driver. 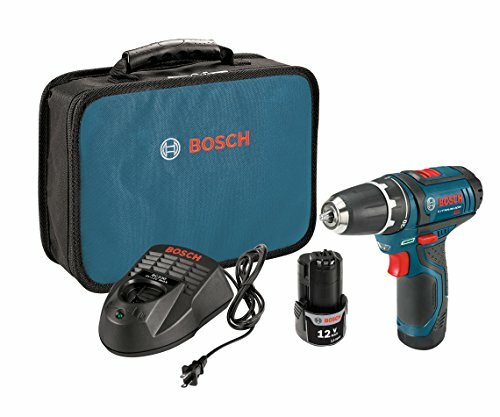 Coming in as a complete kit, this Bosch drill includes a quick chargers and 2 lithium-ion batteries which are rated for 12 volts MAX but consistently maintain a 10.8 volt rating. This entire drill with the battery is by far one of the lightest drills you’ll ever handle, at just 2.14 lbs. Compact in length at just 7 inches, it fits in the hand perfectly and fits in practically any tight space. Its battery level indicator is onboard showing you exactly how much juice your current pack has remaining. This drill has a variable speed trigger, two speed 0-350RPM and 0-1,300RPM switch, and 20+1 torque settings for adjustable drill pressure. Using the 3/8-inch single sleeve chuck makes it useful for up to 90% of all applications. We find this drill to be an excellent choice because it isn’t the most expensive, yet it has a BIG brand to stand behind it, along with a track record of happy buyers. Nearly 300 user reviews have been taken into account, giving this hand drill a 4.7 from 5 stars. Taking our #1 spot as the best cordless drill you should consider getting, is DeWalt’s DCD710S2 Drill/Driver. DeWalt as a brand has always be associated with heavy duty tools, you name it they make it. This drill in particular has two-speed transmission which can be selected from sheer torque to simple speed (1,500 RPM maximum). LED light right above the speed-variable trigger illuminates the area where you are drilling. Using the 15-position clutch you can select appropriate pressure, crank it all the way to 15 and get the full torque. Maximum voltage without a workload is 12 volts, under workload normal operating voltage is 10.8 volts. 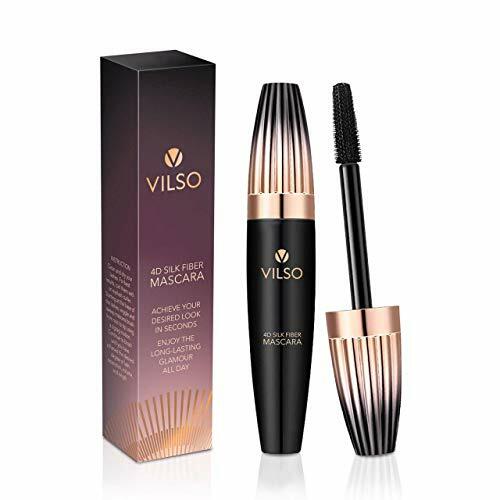 Using the quick chargers, you can charge up each of the two lithium-ion batteries in 30-60 minutes time.The compact design gives this drill a length of only 7.5″ inches, while weighing in at only 2.4 lbs. 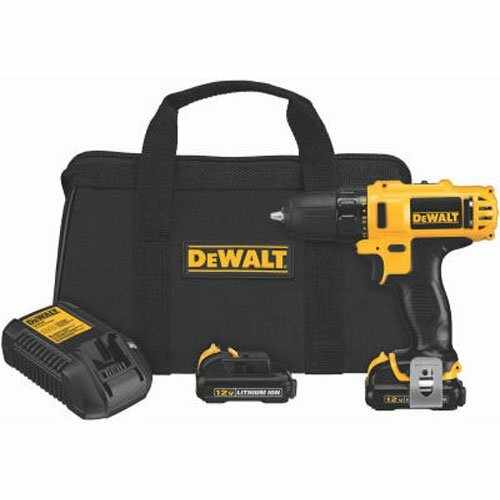 For a complete package which delivers a STRONG and DURABLE cordless power drill, DeWalts DCD710S2 is the way to go. From over 100 individual user reviews, it receives a solid 4.7 stars from 5. In conclusion, we cant go without mentioneing the safety aspect of opertaing any kind of tool. Get yourself a good set of safety glasses to keep your eyes well protected. Safety glasses are manditory in most legitamate shops and garages for obvious reasons.